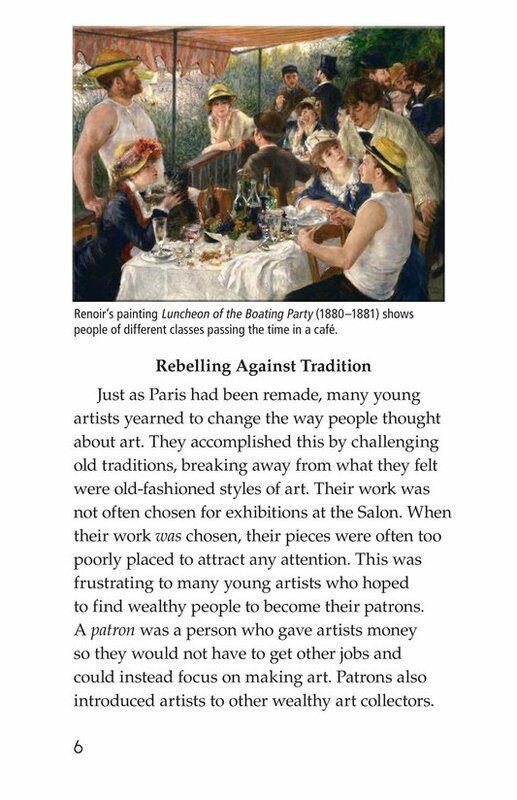 In the mid-nineteenth century, among the bustling changes taking place in Paris, a group of rebel artists emerged. 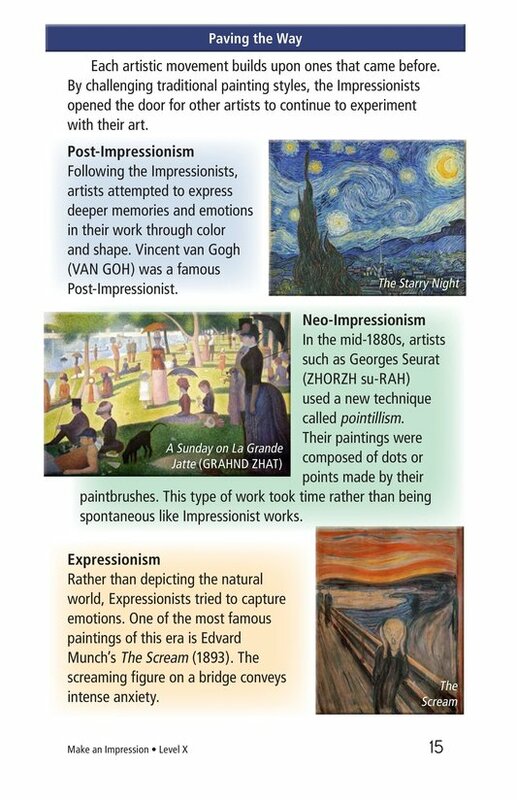 Known as Impressionists, these artists challenged traditional and preferred art forms, sparking a revolution that would influence artistic movements for many years to come. 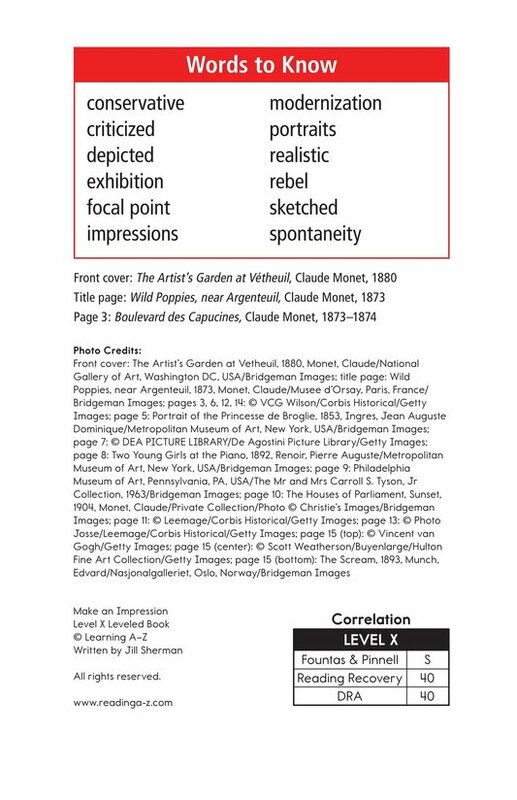 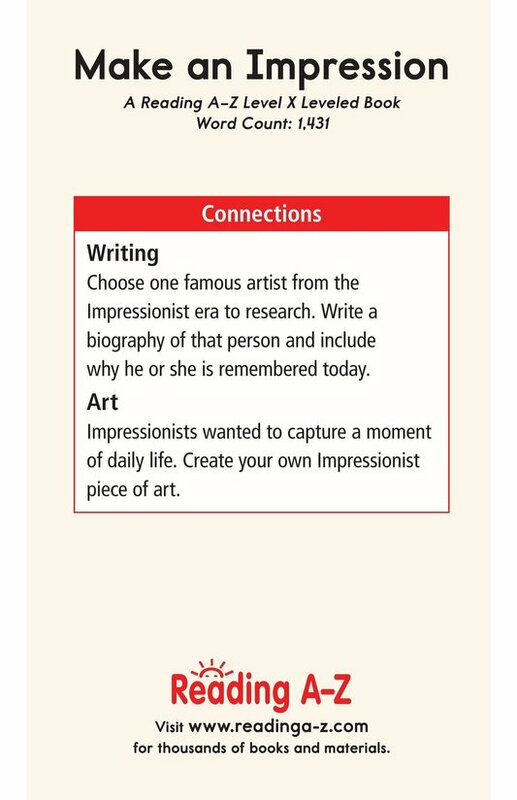 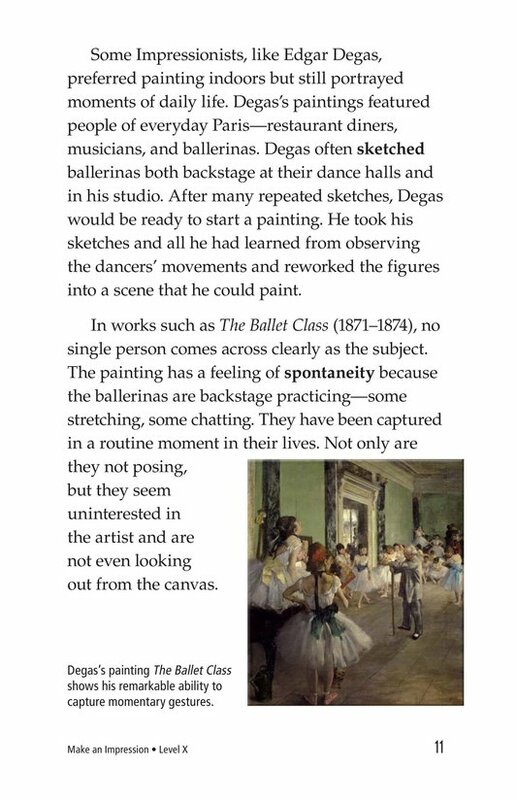 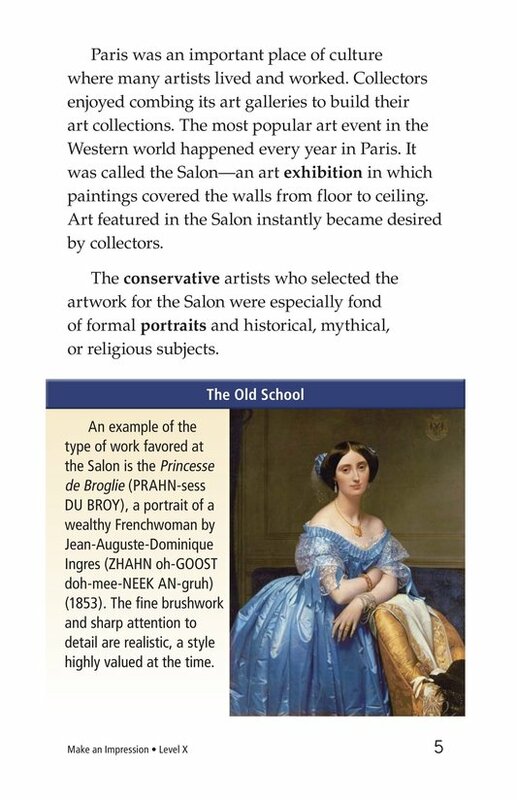 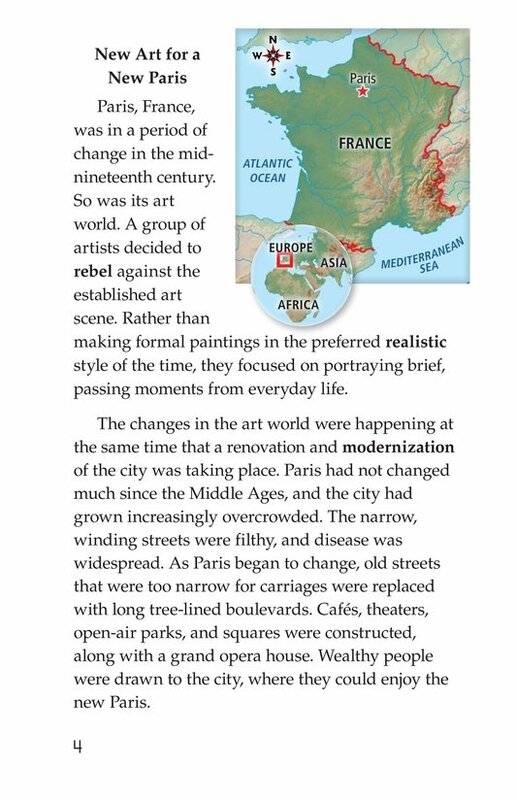 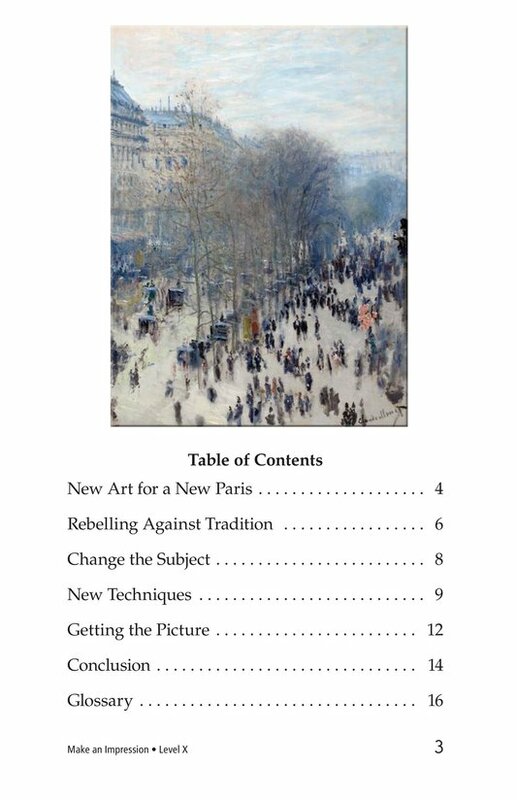 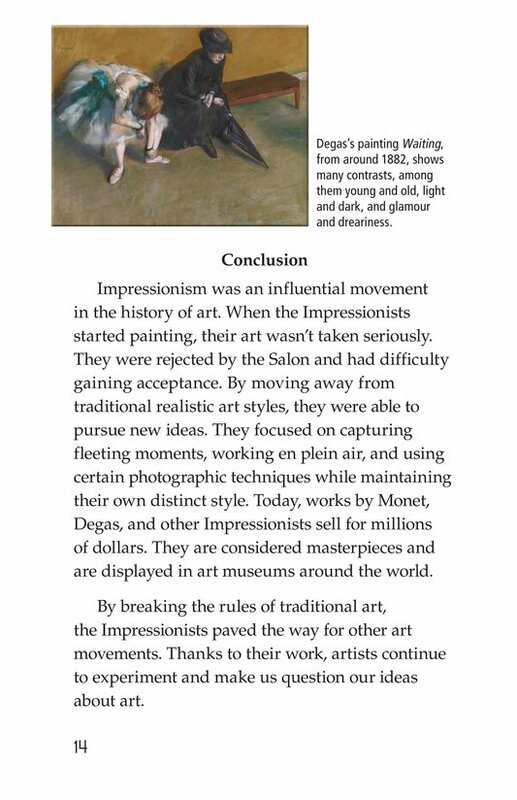 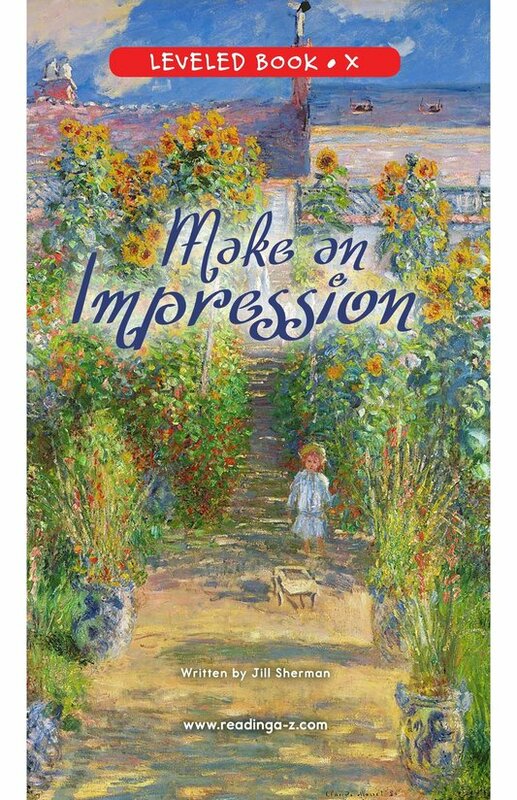 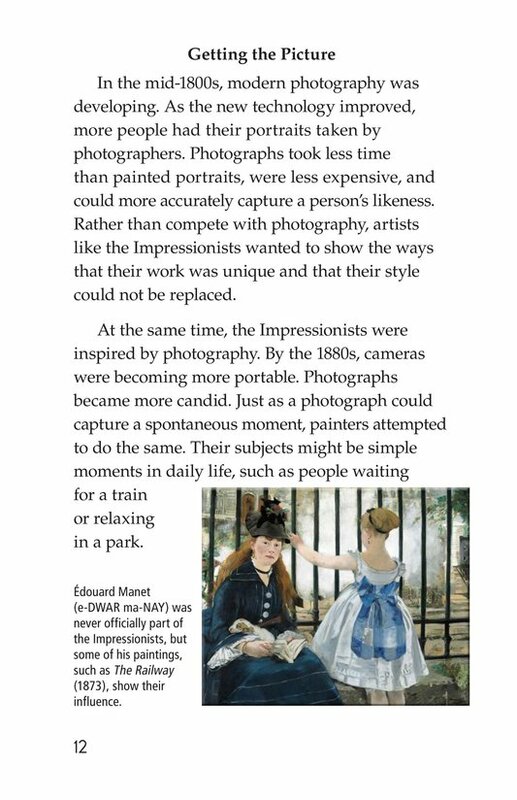 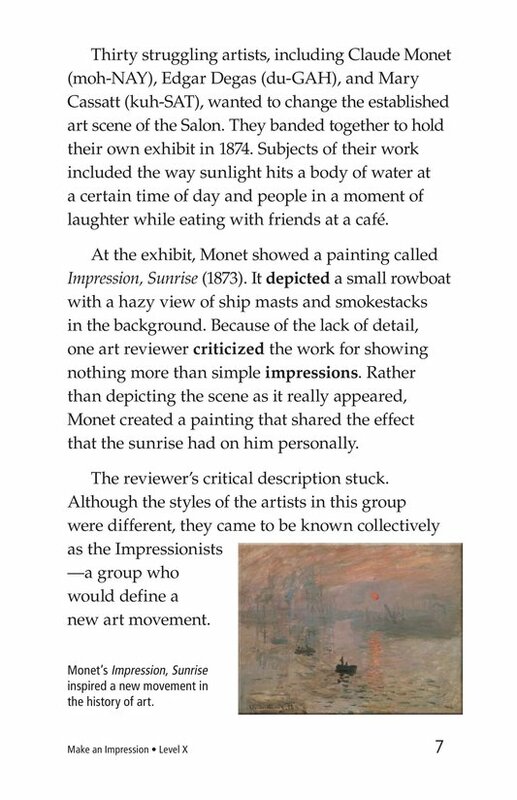 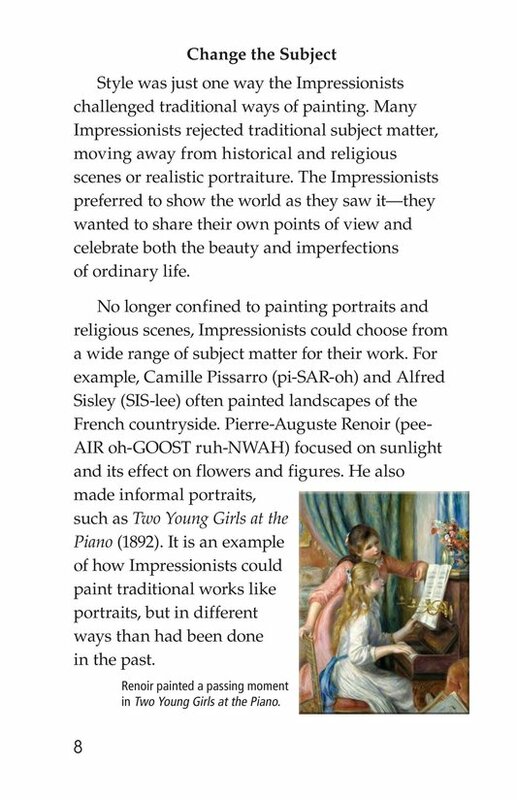 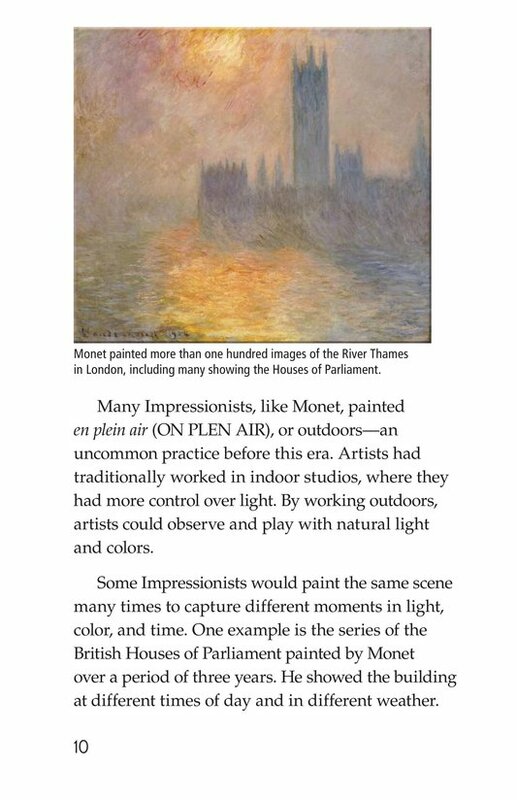 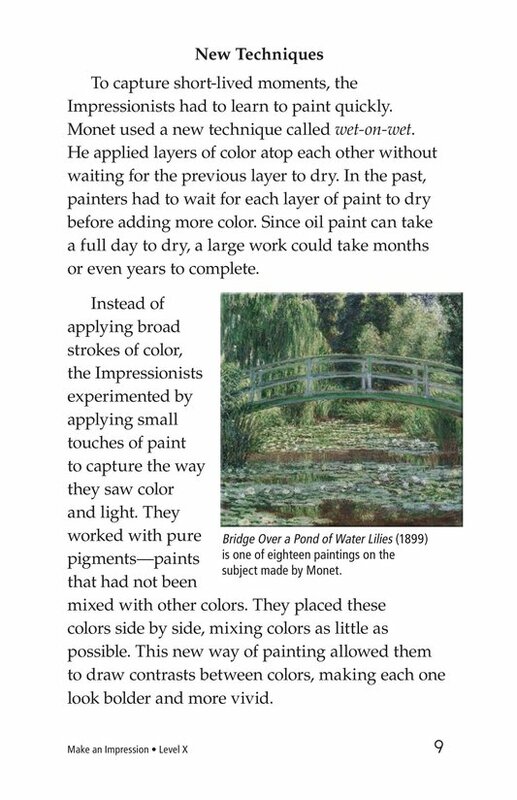 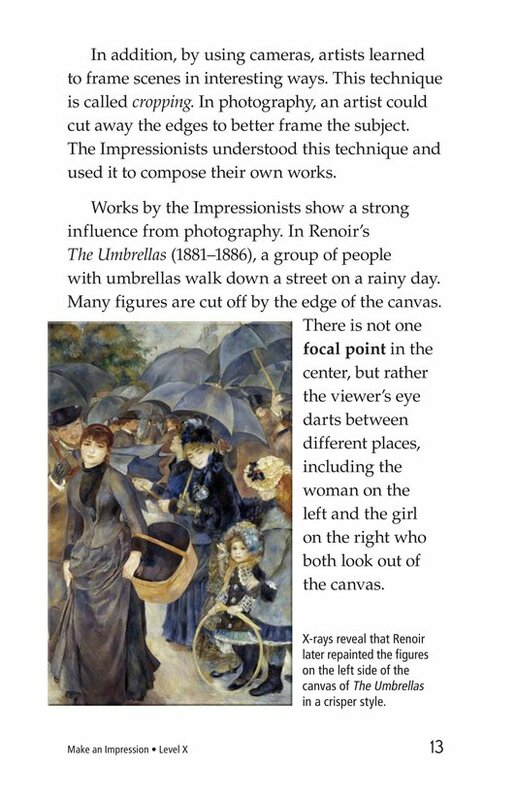 Make an Impression introduces students to art history through Impressionism as well as its early key players, including Claude Monet and Edgar Degas. 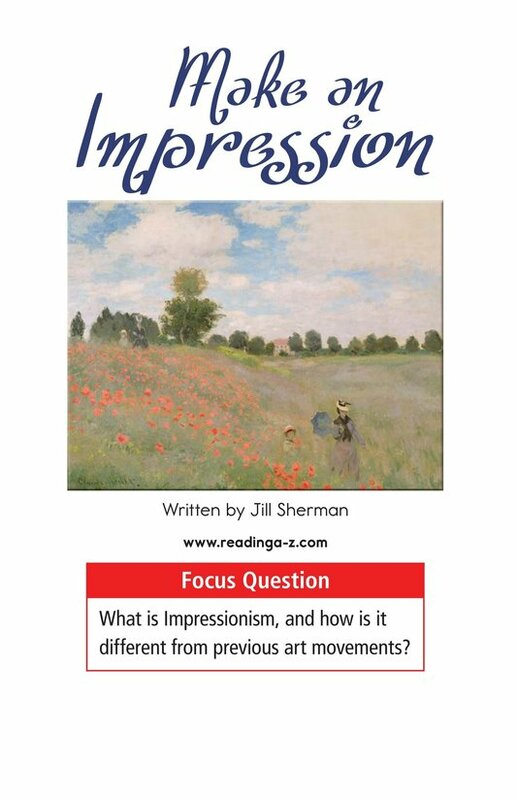 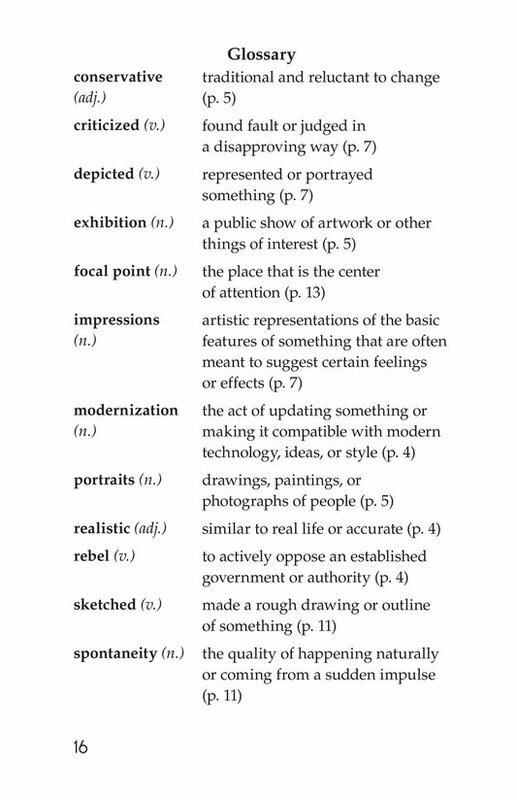 The book can also be used to teach students how to compare and contrast as well to identify past-tense verbs.